Ingredient are the most important thing at Natural Way Organics our philosophy is if you can't pronounce it why would you put it on your body. We take pride in listing our ingredients. Saponified organic coconut, olive, and jojoba oils, natural lavender essential oil blend, organic lavender oil, organic aloe Vera and rosemary extract. Saponified organic coconut, olive, and jojoba oils, sweet orange essential oil blend with organic orange oil organic aloe Vera and rosemary extract. Saponified organic coconut, olive, and jojoba oils tea tree essential oil blend, organic aloe Vera and rosemary extract. Saponified organic coconut, olive, and jojoba oils, peppermint essential oil blend, organic aloe Vera and rosemary extract. Saponified organic coconut, olive, and jojoba oils, organic aloe Vera and rosemary extract. 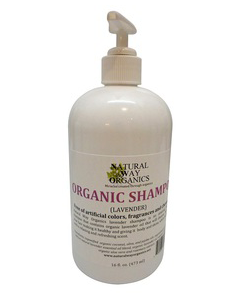 Organic coconut, olive, and jojoba oils, vegetable glycerin, organic guar gum, organic aloe vera and rosemary extract. Organic coconut, olive, and jojoba oils, vegetable glycerin, organic guar gum, orange essential oil, organic aloe vera and rosemary extract. Organic coconut, olive, and jojoba oils, vegetable glycerin, organic guar gum, organic lavender, organic orange oil, organic aloe vera and rosemary extract. Organic safflower oil,organic jojoba oil, organic apricot kernel oil, organic olive oil, organic chamomile, organic comfrey, organic lavender essential oil lavender. Organic arrowroot, organic chamomile, organic corn starch, organic lavender essential oil. 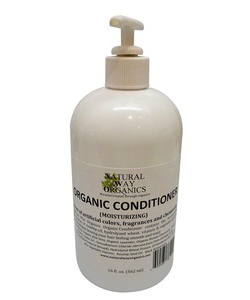 Organic Aloe Vera, Organic sunflower Oil, Vegetable Emulsifying Wax, Organic coconut Oil, Organic Vegetable Glycerin, Proprietary Blend of Essential Oils, Stearic Acid (from soybeans), vitamin E, Citric Acid, vitamin C, Sodium Levulinate (natural preservative), Sodium Anisate (natural preservative). Organic Oils of Palm, Coconut, Olive and Palm Kernel, Natural Lavender Essential Oil Blend, Organic Lavender oil, Organic Oatmeal, Rosemary Extract. Organic Oils of Palm, Coconut, Olive and Palm Kernel, Natural Essential Oil Blend, Organic Orange oil, Organic Orange Peel, Rosemary Extract. 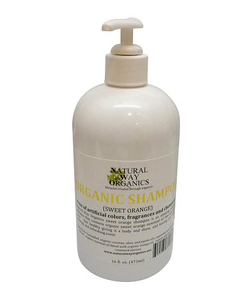 Organic Oils of Palm, Coconut, Olive and Palm Kernel, Raw Shea Butter Organic Calendula Extract, Rosemary Extract. Organic Oils of Palm, Coconut, Olive and Palm Kernel, Natural Tea Tree Essential Oil Blend, Organic Aloe Vera. Rosemary Extract. Organic Oils of Palm, Coconut, Olive and Palm Kernel, Natural Lavender Essential Oil Blend, Organic Aloe Vera. Rosemary Extract. Organic Oils of Palm, Coconut, Olive and Palm Kernel, Natural Peppermint Essential Oil Blend, Organic Spearmint Leaves, Rosemary Extract. 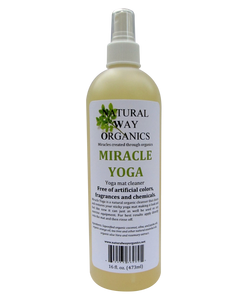 Organic Oils of Palm, Coconut, Olive and Palm Kernel, Natural Lemongrass Essential Oil Blend, Organic Aloe Vera. Rosemary Extract . Organic Oils of Palm, Coconut, Olive and Palm Kernel, Organic Orange Oil, Natural Clove Oil Blend, Organic Cornmeal, Pure Honey, Rosemary Extract. Organic Oils of Palm, Coconut, Olive and Palm Kernel, Natural Lavender Essential Oil Blend, Organic Aloe Vera, Rosemary Extract. Organic Oils of Palm, Coconut, Olive and Palm Kernel, Natural Rosemary Essential Oil Blend, Organic Rosemary Herb, Rosemary Extract. Saponified organic coconut, olive, and jojoba oils, organic orange oil, tea tree and other natural essential oils, organic aloe Vera and rosemary extract. Saponified organic coconut, olive, and jojoba oils ,vegetable gum, glycerin extract organic essential oil blend with organic orange organic aloe vera and rosemary extract. Lavender Saponified organic coconut, olive, and jojoba oils ,vegetable gum, glycerin extract natural lavender essential oil blend, organic lavender oil, organic orange oil, organic aloe vera and rosemary extract. Saponified organic coconut, olive, jojoba, lemongrass Spanish rosemary, tea tree, organic oils aloe Vera, organic rosemary extract.